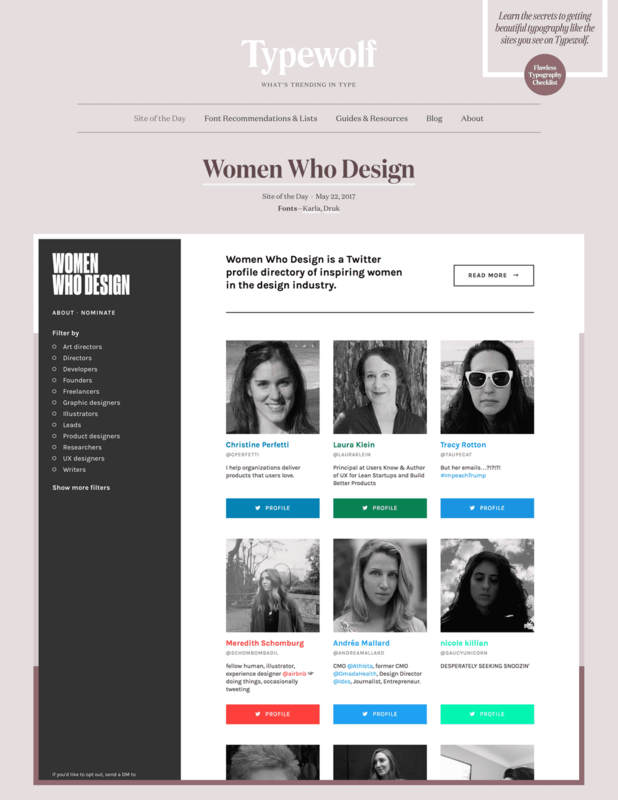 Last week, Women Who Design finally launched and today it was featured as Typewolf’s Site of the Day. The logo is set in Druk from Commercial Type and the site uses Google Fonts’ Karla for everything else. Check out the post on Typewolf.